God and a nuclear fuel broker meet in a sports bar to discuss women, work, and other life mysteries… What sounds like the start of a classic political joke, is actually the beginning of a thought-provoking philosophical adventure. 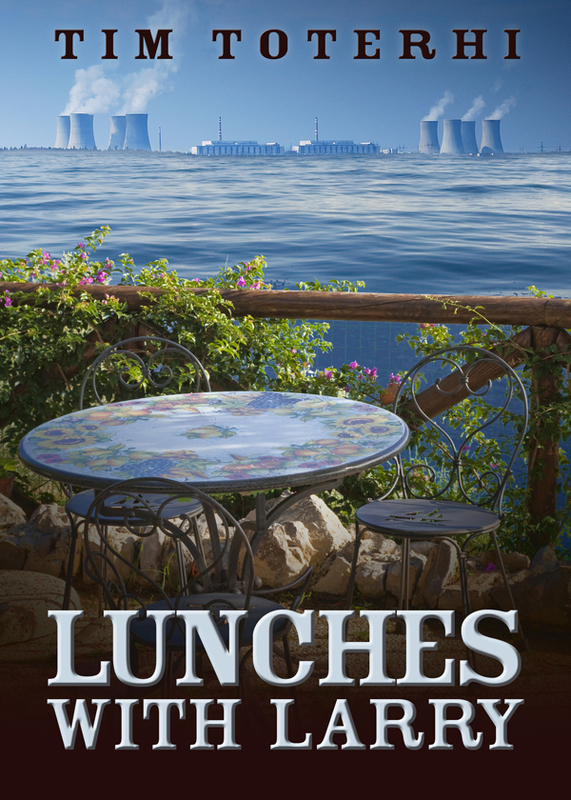 Set against the scandalous decline of the largest, privately-held business empire in the nuclear brokerage industry, Lunches With Larry follows a young, romantically-challenged, business misfit on his crusade to find true love, lasting friendship, and the answer to the oldest of questions. If you’ve ever felt confused, lost or all alone in a world you can’t quite figure out; if you’ve ever thrown up your hands in frustration and shouted, “I just don’t understand anything anymore,” pull up chair, settle in with a spot of tea, and have a look. You may find something you’ve never lost and loose something you’ve never needed. You can purchase the book online from Smashwords in multiple eBook formats at http://www.smashwords.com/books/view/378003.